The newly built Schechter House in San Remo Estates was designed by Michael Epstein of Seibert Architects. 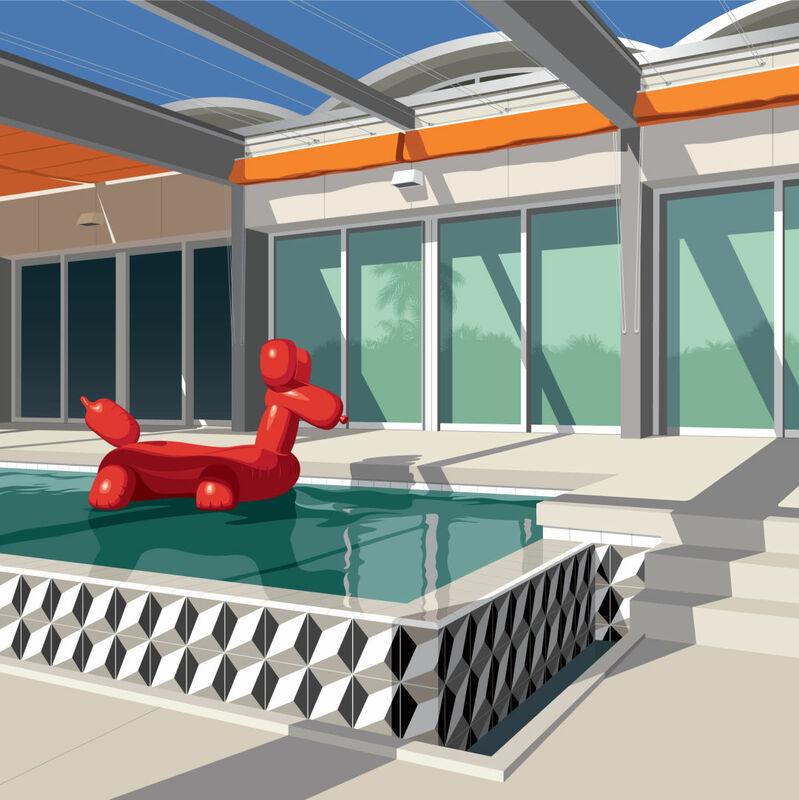 The barrel-vaulted ceilings, bright orange canvas awnings and elevated pool tile in a geometric motif were exciting architectural elements. The cherry red balloon dog pool toy just adds a smile.